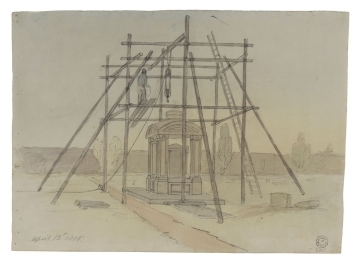 Office Day Book entries: 6 April 'Making a View of a Mausoleum. 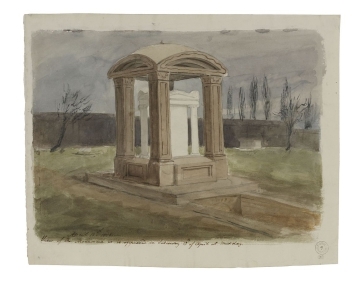 Parke' and 'Making a drawing of a Mausoleum. 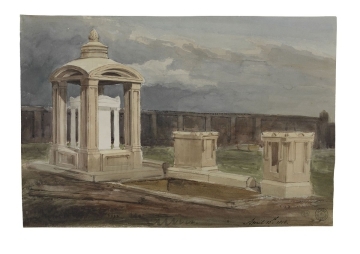 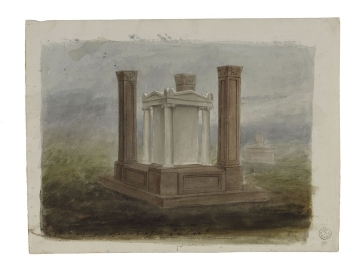 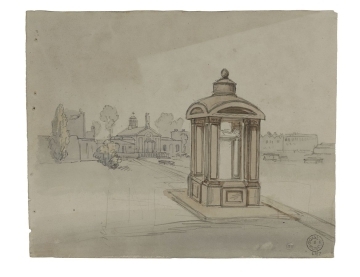 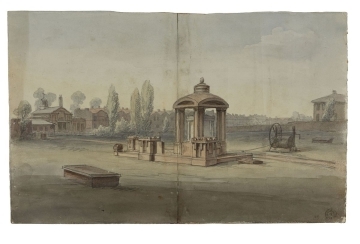 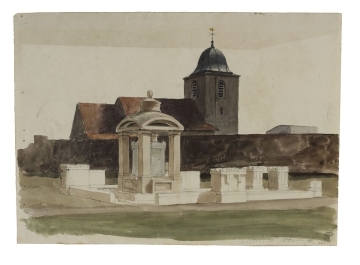 Parke' on 9 to 13 April; 'Taking Sketches of a Monument. 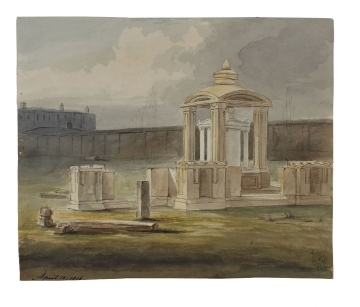 Parke' 17 to 20 April; 'Making a View of the Monument in St Giles's Burial Ground. 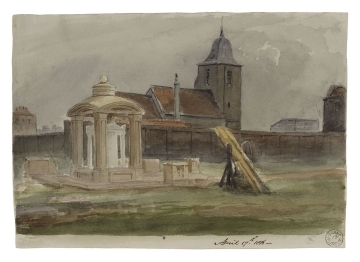 Parke' on 22 to 27 April 1816. 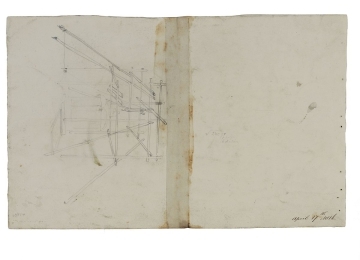 Marked 'absent unwell' from 29 April to 22 May 1816, when Basevi took over (drawings 42-44).